File picture of AGP president and Assam Agriculture Minister Atul Bora. Ruling BJP’s alliance partner AGP on Thursday strikes a note of discord with its stance on the proposed citizenship amendment bill. This, in turn, has raised speculations on the possible break-up of the two partners. The AGP has reiterated its opposition to the proposed amendment of the citizenship bill and said the party would not tolerate any move to settle illegal migrants in the state. This has fuelled speculations in the political circle about the end of yearlong honeymoon between the AGP and the BJP. 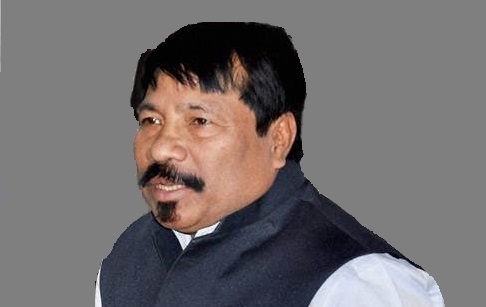 AGP president and Assam agriculture minister Atul Bora said the party’s stand is clear that all illegal foreigners, irrespective of their religion, coming to Assam after March 24, 1971 will have to be deported. “The Assam Accord had set March 25, 1971, as the date for allowing Bangladeshi immigrants to be recognized as Indian citizens as per procedure. Any move to grant citizenship to any Bangladeshi who entered Assam illegally after that date will not be tolerated,” the AGP president said. “We will do all we can so that Parliament cannot pass the bill, which aims to safeguard the Hindu Bangladeshis. We want to clarify that we are not against the Bengali people and the Bangla language. We are against illegal Bangladeshis,” Bora added. By giving citizenship to Hindu Bangladeshis, the Citizenship (Amendment) Bill, 2016 not only violates the Assam Accord, but also brings in a threat to the peaceful secular fabric of the state, Bora, who is also the state agriculture minister, told a press conference. “We have given our comment in writing to the Joint Parliamentary Committee and the home ministry, which will implement the Act. Recently nine regional parties had met Home Minister Rajnath Singh and apprised him of their opposition to the bill,” he added. The senior AGP leader said the party will keep an eye on the preparation of a “true” National Register of Citizens, the first draft of which will be published on the midnight of December 31. He also spoke of strengthening the party’s base across Assam.